Tidewater Dental has partnered with the Greenwell Foundation in service to the community. Jolanda Campbell, executive director of Greenwell Foundation in Hollywood, recently announced the new partnership. Tidewater Dental, a leading dental practice in the area, has offices throughout St. Mary’s and Calvert counties, including an office in Lexington Park. 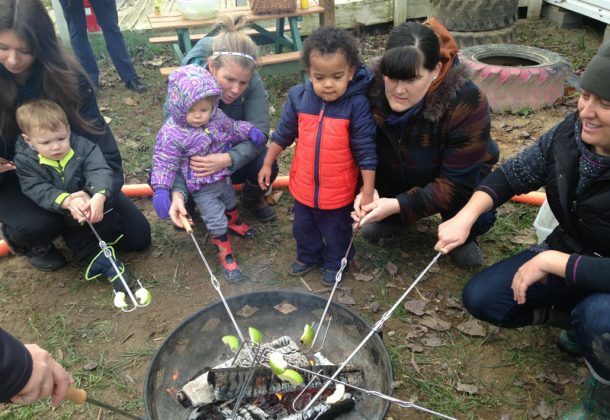 “With the leadership support of Tidewater Dental, Greenwell is able to expand our inclusive, outdoor Nature Connection programs. As our 11-week camp program ends on August 31, we are expanding our weekly programming for pre-schoolers (Nature Discovery Time), youth and adults with intellectual disabilities (Watershed Heroes), at-risk youth (Fire Within school field trips and weekends) and veterans (Tranquility Veterans’ Project). We are so grateful to the staff and leadership of Tidewater Dental for their key role in the operations of these wonderful programs,” Ms. Campbell said. Greenwell highlighted the new collaboration with Tidewater Dental at an Open Barn Event on Sept. 1, where another local partner — St. Mary’s Libraries — hosted a story time. Additionally, Greenwell reached out to area seniors to attend a Watershed Seniors Open House. Those interested can get more information about the foundation’s programs at the group’s website or by calling the office at 301-373-9775.